Astir Beach, or Asteras Vouliagmeni Beach, as it is called in Greece, is the best beach that Athens has to offer to locals and visitors. 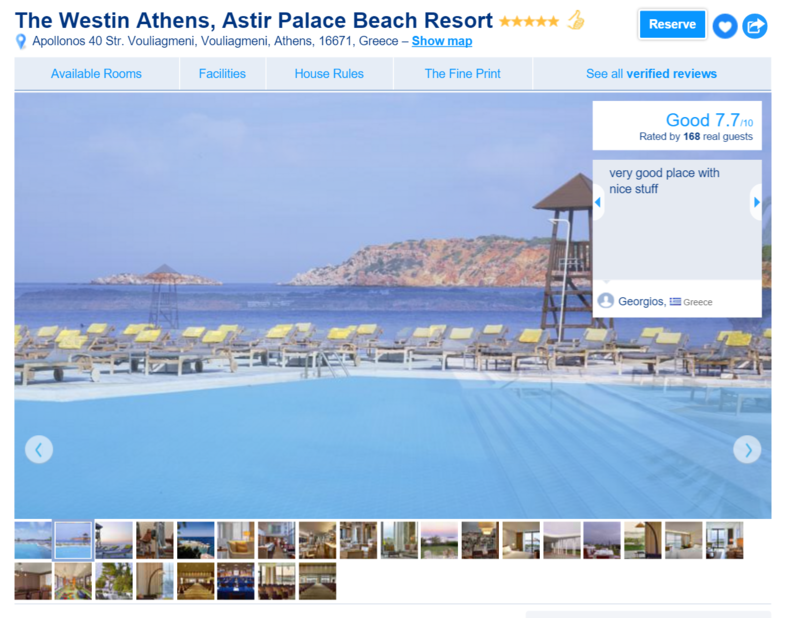 This is a review and a guide to help you enjoy Astir beach at its best while helping you to save up to 75% of the cost to enter this fantastic place. We know you love history. 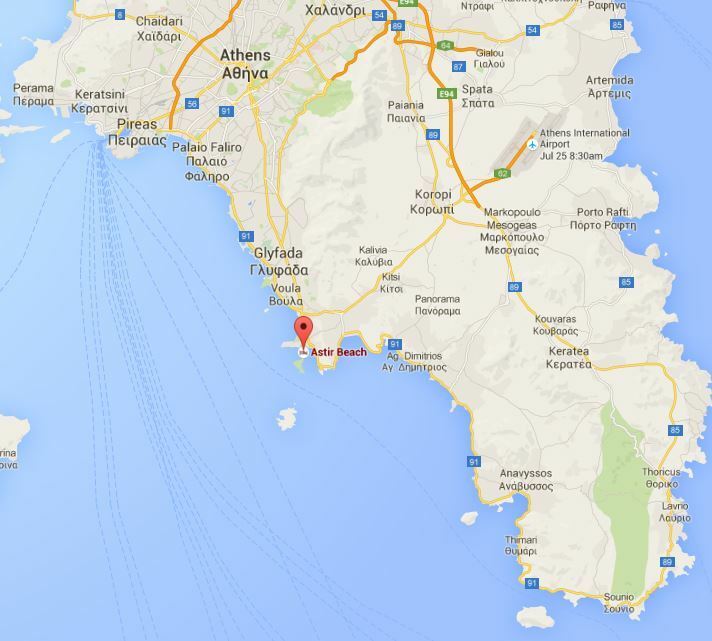 So, what is the history behind the whole area of Astir Vouliagmenis? Astir Vouliagmenis is a living legend of the modern cosmopolitan Greece. Since 1959, the famous hotel in this area, Astir Vouliagmenis Hotel, looks proudly from the top of the hill to the bay of Vouliagmeni. 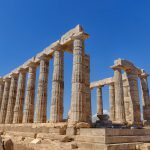 Its name is connected to hosting some of the most prominent figures in business, politics and the star-world, either from Greece or other countries. 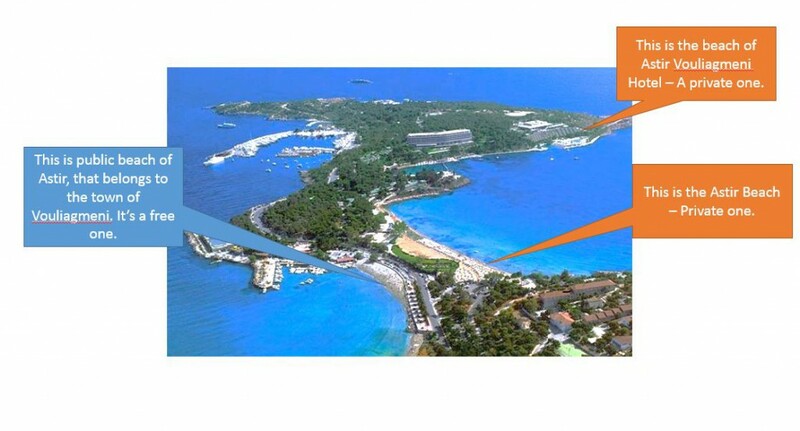 Astir Vouliagmenis belong to the National Bank of Greece and the Greek state, which is looking for a way to sell it to venture funds as part of the privatization efforts that run in the country. Inside the beach of Astir, there are ruins of a ancient paramount temple, the temple of Apollonas Zostiras, which was built in the 6th-century b.c. According to the legend, the kids of the Vouliagmenis orphanage were playing on the beach, and while they were digging they found, during 1924, this temple, which is positioned in a strategic place to control the bay area. In 1961, the first bungalows started to operate in Asteras and in 1966 the first water ski school in Athens was inaugurated here. Soon after, the beach of Astir was the meeting point of all great Greeks and Athens visitors. In 1969, the Arion hotel was opened, and two more hotels were built, the Nafsika hotel in 1979 and the Aphrodite hotel in 1984 – which is not operating anymore. Aristotle Onassis was one of the most fanatic visitors of Astir, together with Frank Sinatra, Marlon Brando, Paul Newman, Joan Collins and other celebrities of that time. 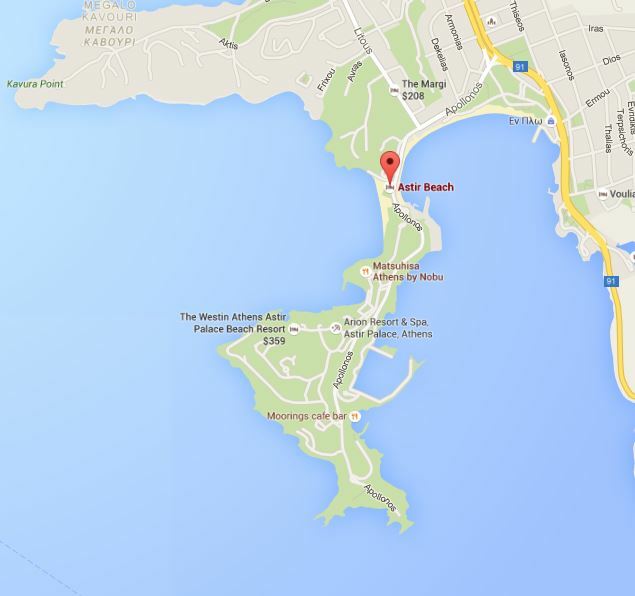 The Astir Beach is located in the south suburbs of Athens, in the area that is called “Vouliagmeni.” Astir in Greek means “Star Shape” and if you have a closer look at the map, you will see that this whole area looks like a half star. 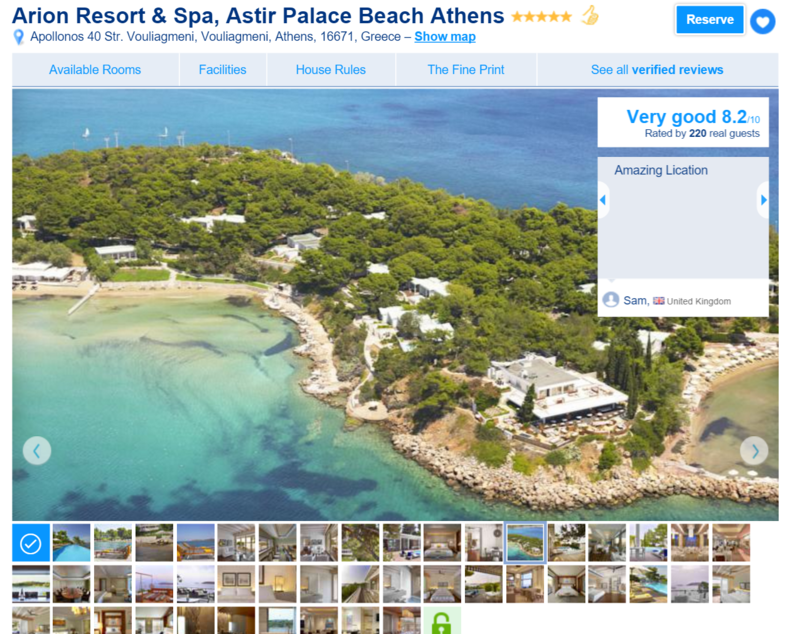 In this area, there are different things you can find with the name “Astir.” The central hotel that exists in this area is called “Astir Vouliagmenis Hotel” and it also has its private beach. Additionally, there are two different beaches with the name Astir Beach, one opposite to the other. The first one is a private beach where you pay an entrance to enter and the second one is a public beach, where it is free to swim. We are now presenting information regarding the private beach of Astir. You can get to Astir Beach either via driving your car or by using public transportation – e.g. a bus from the center of Athens. Unfortunately, there is no underground metro station in Vouliagmeni area. 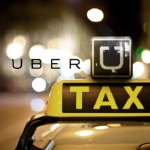 If you get a taxi from the center of Athens, it is about 22kms so that it would cost you around 30 to 40 euros. During the weekends, you may encounter traffic from people going to or returning from the beaches in the south of Athens, so it might take you more than an hour to get to Astir Beach if you leave at around 11:00 AM in the morning. Otherwise, it should be around 35 to 40 minutes. There is no parking in Astir Beach, so you have three solutions for your parking close to this beach. The first one is to leave your car on the road, around 500 meters before entering the beach. You will find out that many others leave their car there. It is not legal in most of the places there, so you may get a ticket for illegal parking, which costs 40 Euros – and you can get it down to 20 euros if you pay it within the first three days. The second solution is to drive 20 meters after the entrance of Astir Beach, and you will find parking that belongs to the Sailing Club of Vouliagmeni. It is not allowed to park there but what you can do, is to give 5 Euros to the security guys of the parking, and they will drive your car up to the hill and bring it back to you later – it’s not an “official” way to park, but it saves you from a lot of trouble. The third solution for finding parking at Astir Beach is to continue driving after the entrance of Astir Beach, go up the hill – around 1km – and park your car in the open spaces next to the road. It will cost you a 10 minute walking down and up the hill – which is especially tedious during the hot summer in Athens. The Astir beach is a private beach, and you have to pay an entrance fee to get inside. The entrance is 15 Euros per person from Monday to Friday, and it is 25 Euros on Saturday and Sunday. Kids from 5 to 12 years old pay 8 euros from Monday to Friday and 13 Euros on the weekends. These are the prices for the high seasons, which is considered to be from 16th of May until the 15th of September. There is a trick to save 50% of the ticket fee: If you are a subscriber to Cosmote’s mobile network (you can get a Cosmote prepaid mobile card if you are a tourist), you can send an SMS to 19019, and you get 1 ticket for free if you buy 1 ticket, during Monday, Tuesday and Thursday. This way, you pay 15 euros for two persons, instead of the 30 euros, you would pay during these days. So, skip going to Astir Beach on the weekends with 25 Euros per person and go on these days that we mentioned, with 7.5 euros per person. Check the website of Cosmote’s deal for Astir Beach, before you use it, to make sure that no days have changed. The cost of the SMS is 0.5 Euros. The offer is valid for the first 100 persons and for arrival time until 11:00 am according to the rules on the website. For the price you pay, you get a free set of 2 sunbeds and an umbrella and nothing else. You will have to pay everything else (coffees, water, ice-creams, lunch, etc. ), on your own. If you go late to the beach, you will find that all sunbeds are taken, and you will have to wait under a tree, or at a cafeteria, until you get your own. Not the best thing in the world, especially if you consider that you have paid the same price for everyone else. – A cold coffee (freddo espresso as it is called in Greece), costs 4 euros. The beach is open from 08:00 in the morning until 21:00 in the evening. The best time to go there during the weekends is until 10:00 in the morning. If you arrive later, e.g. at 11:00, you will most probably not find an empty set of sunbeds/umbrella, and you will have to wait until one is freed up. 5. Astir Beach Amenities: What you can enjoy during your stay. The beach offers many amenities that you can use. There is a changing clothes area – separate for women and men. There are shops that sell ice-creams, water, drinks, champagnes, food and you can order them while you are enjoying at your sunbed. There is a “Friday’s” restaurant on the beach, and you can get a sit and enjoy the dishes of the favorite American food chain restaurant. 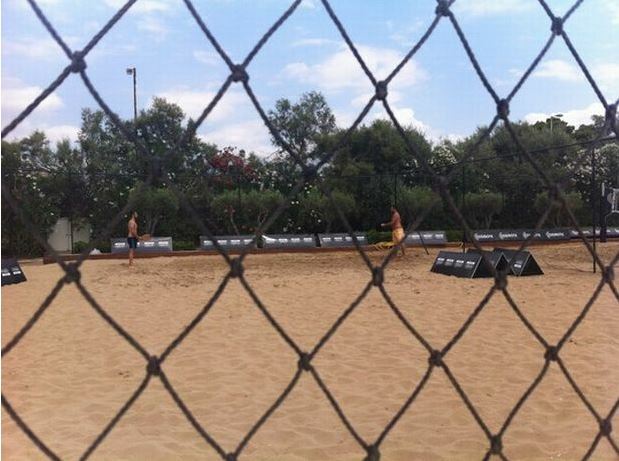 Moreover, there is a beach volley court for the most athletic among you. And you can try different water sports, such as jet skis, tubes, water ski, etc. Holmes place also has a sports area that you can use. Finally, you can enjoy a massage therapy, provided by the Orloff Massage of Astir Beach Hotel, on the beach. 6. Astir Beach – People: Is it too Posh for you? The beach has a capacity of around 600-700 umbrella sets, so when it is full, you will find around 1500 people. There are many families from the upper middle class of Athenians visiting this beach. Moreover, as it is a posh beach, you will find famous singers, models, actors, athletes and politicians, enjoying the blue waters of Astir Beach. You may wonder: Is it too posh for me? The truth is that even though there are many rich people enjoying themselves on this beach, you get a relaxed feeling that will make you feel that you fit in this environment. No, it doesn’t feel that posh, don’t worry. 7. Astir Beach – Is the beach and the water clean? 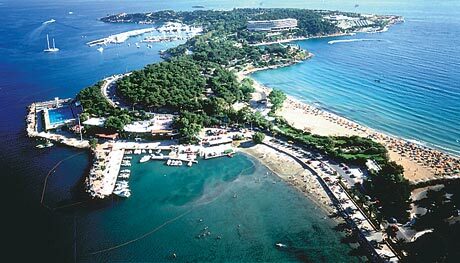 Although the beach is very close to the towns of Vouliagmeni, Glyfada, it is a spotless beach. It has a blue flag, which is the “certification” for a clean beach. Apart from that, you also see the crystal clear waters when you swim, and you get the same feeling that this is a great beach to swim. The sea is a swallow, so it is great for kids too. It is also sandy for at least 70 meters from the shore, so don’t expect to find anything interesting for snorkeling. Is it possible to make a reservation for the sunbeds at Astir Beach? Yes, just visit this link to make a reservation of your Sunbed at Astir Beach. Relevant information is also available at the phone number: +30 – 2108901619. The price for a sunbed in the reservations area on the weekend is 40 euros for one sunbed and the price during the weekdays is 25 euros per sunbed. That’s all about Astir Beach! 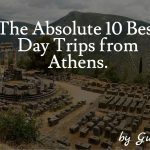 We hope that we provided you an excellent guide to making the most out of this great (but expensive) beach, which is considered to be the top one in all Athens area. 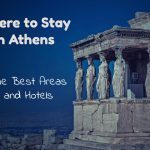 If you plan to visit Greece during the summer and no matter what area you choose to stay in Athens, make sure you pay a visit to it. 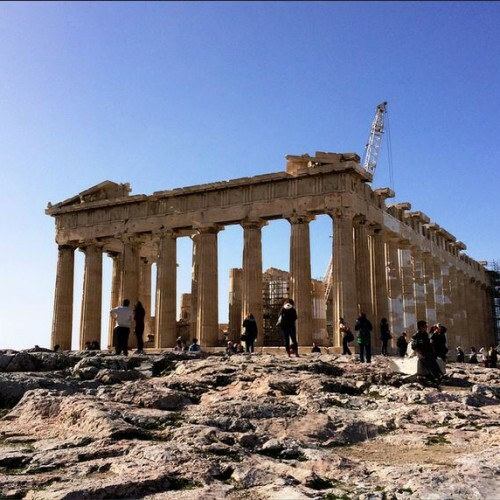 Moreover, you may consider getting our full Travel Guide for Athens, Mykonos and Santorini. 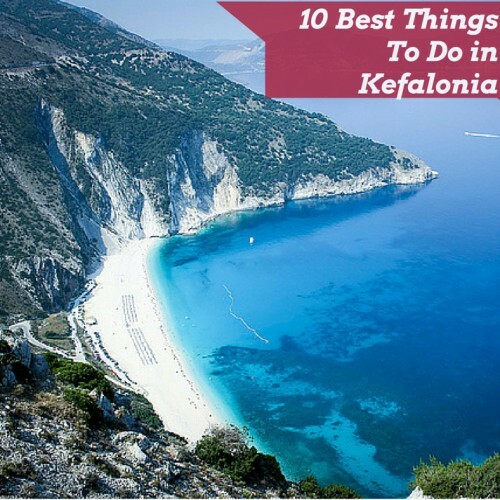 What are the must-try dishes while you are in Greece &#8211; How to Eat like a Greek! Thanks for all of the great tips for saving money and times to visit Astir Beach. I didn’t realize this beach could be private, but it sounds like it gets pretty crowded! Brooke, indeed it gets pretty crowded on the weekends of July and August. Still, it is wonderful!